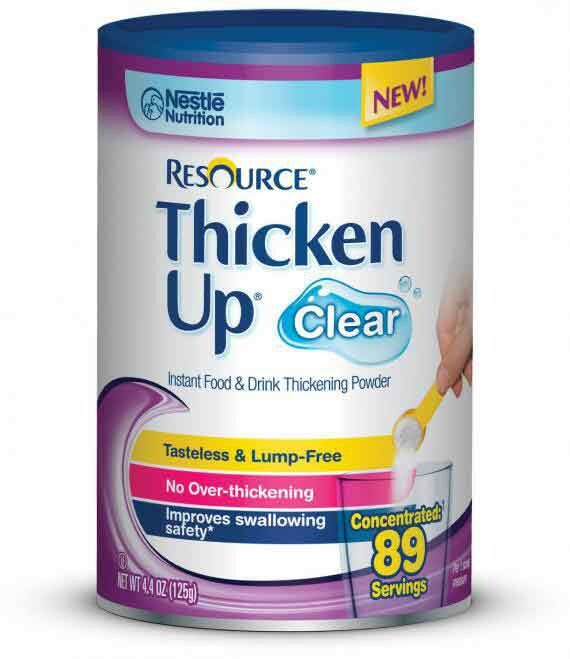 Resource ThickenUp Clear is an easy-to-use thickening agent to provide swallowing support for people with dysphagia. 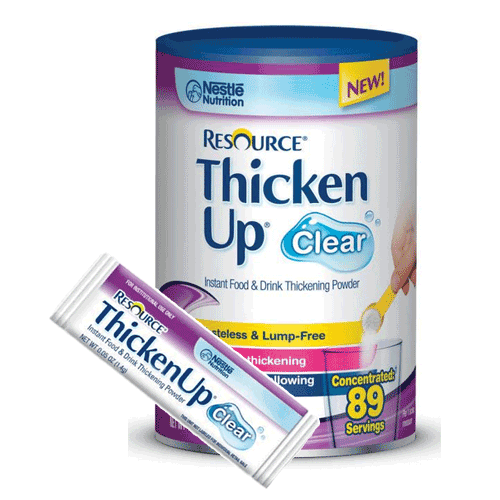 Resource® ThickenUp® Clear is clinically shown to improve swallowing safety in dysphagia patients by reducing the risk of aspiration compared to thin liquids. Provides a consistency that meets National Dysphagia Diet (NDD) standards. Appropriate for lactose-free, gluten-free and kosher diets. Resource Thicken Up Clear Product Numbers: 4390015193, 4390015195. Size: 4.4 Ounce or 1.4 Gram. Serving Size: One Scoop or One Packet. One consistent measurement (When mixed with 4 fl oz of liquid). More concentrated, less powder required than starch-based thickeners. Use: Individuals over 3 years old. THIS PRODUCT IS ONLY APPROPRIATE FOR USE IN INDIVIDUALS GREATER THAN 3 YEARS OLD. Maltodextrin, Xanthan Gum, Potassium Chloride. Made on equipment that also processes milk. First off, this thickens water really fast, juices and other items take 1-5 minutes to set. It does not seem to leave any after taste and is better priced than other items on the market. It does set up clear, but it does it better if you put in the fridge for a few minutes to get rid of bubbles. What I really like is that you can have this mixed up previously up to 24 hours in advance, so nice job there! 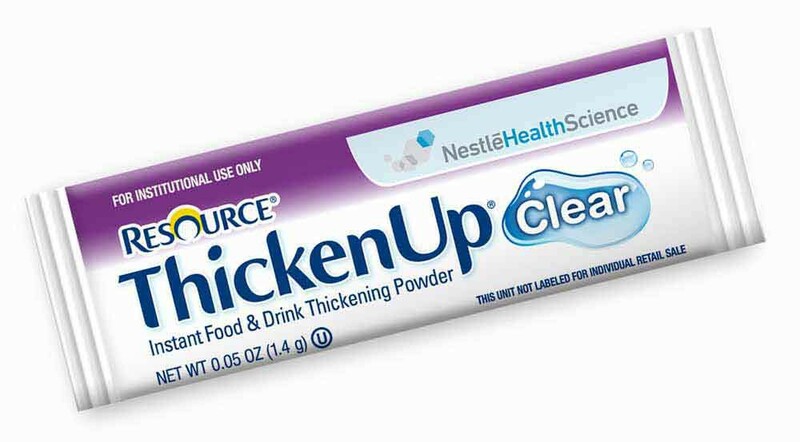 This thickens water right away, other items it does take 1-5 minutes for it to thicken. Make sure that you have a whisk ready to stir vigorously right away to avoid any lumps. My Mother in Law says it tastes great in water and other drinks.